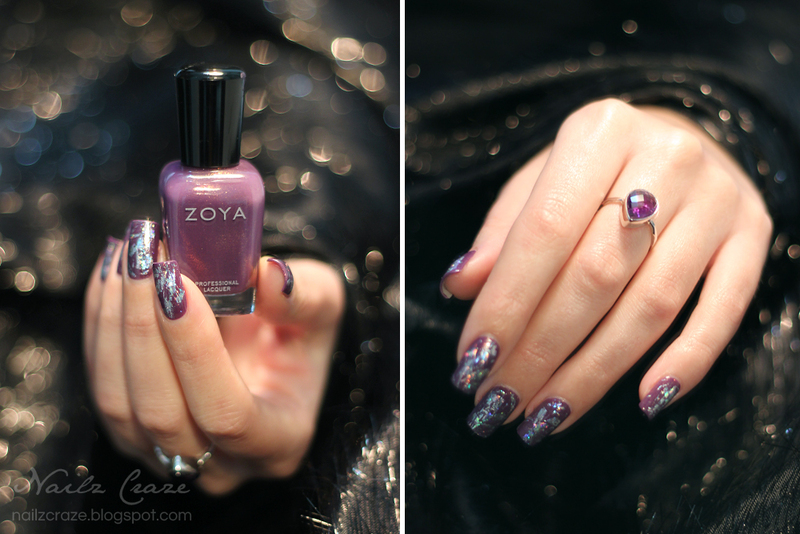 To create this design I started with two coats of Zoya Tru, a beautiful warm purple with red and gold shimmer. I decided to create a simple and sparkly design, so I thought that a silver foil could be a nice addition that will also look nice with the ring. To apply the nail foil I used a special foil glue, brushing random strokes over the purple base. Once the glue was dry enough, I applied the holographic silver foil with a tapping motion. To prevent the foil from wrinkling once a top coat is applied, I chose to use a clear gel top coat insted of my regular Poshe top coat, and it worked great. The holographic effect of the silver foil was a bit hard to capture with my indoor light setup, so it mostly looks silver over the purple base. 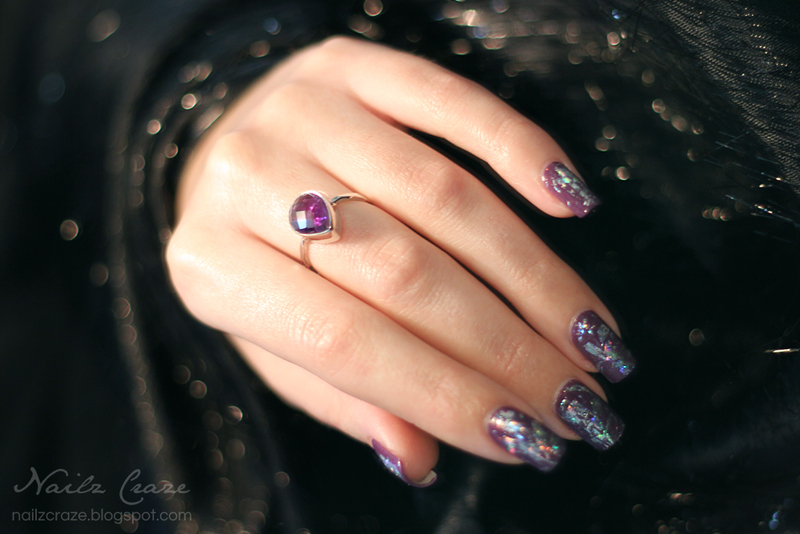 I still love this look and I think it works great with this ring, so I was pretty pleased with the result. The beautiful purple amethyst ring I am wearing in this post was handcrafted by Masha Lezhen, owner and creator of Delezhen jewelry. 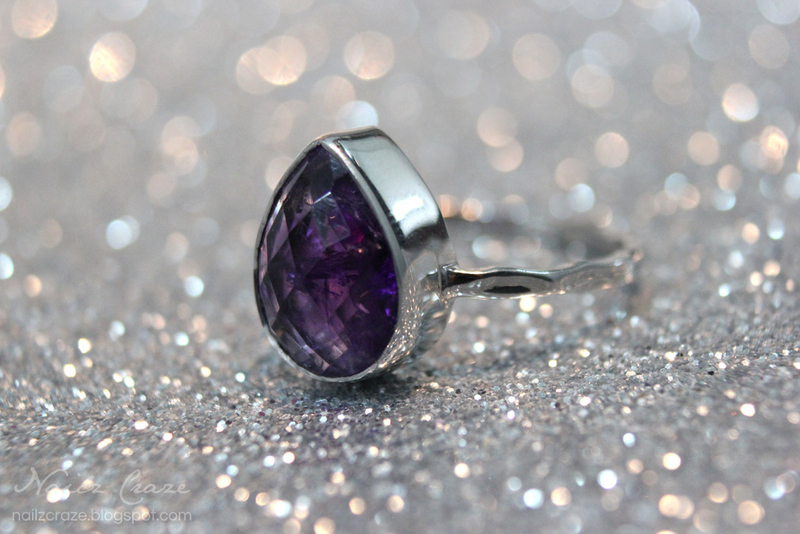 The ring is made of sterling silver and pear shaped natural amethyst gemstone. The gemstone isn't completely clear, it has interesting lines and particles in it, which I think is wonderful because it makes it even more unique and one of a kind. The ring itself is perfectly handcrafted, just a flawless work of a great artist. I fell in love with this ring instantly! I adore it's simple and delicate design and how luxurious this ring looks on the hand. Although amethyst isn't my birthstone (mine is actually Ruby, since I was born in July), it's definitely my favorite gemstone, so I'm really loving this ring. This ring is also designed to be worn as a stacking ring, so you can mix and match it with your favorite rings to get an interesting look, or just wear it on it's own if you want to go for the delicate and classy look. Masha from Delezhen creates the most beautiful and delicate jewelry, incorporating natural gemstones in them and bringing you an enchanting and unique designs. I really love just about everything at Delezhen store, it's very hard to resists the beautiful jewelry Masha creates, and once you enter her store you will understand why. Discounts: 15% off first purchase with code "NAILZCRAZE15"
Masha from Delezhen was extremely nice and generous, and so she agreed to sponsor a giveaway for my readers! 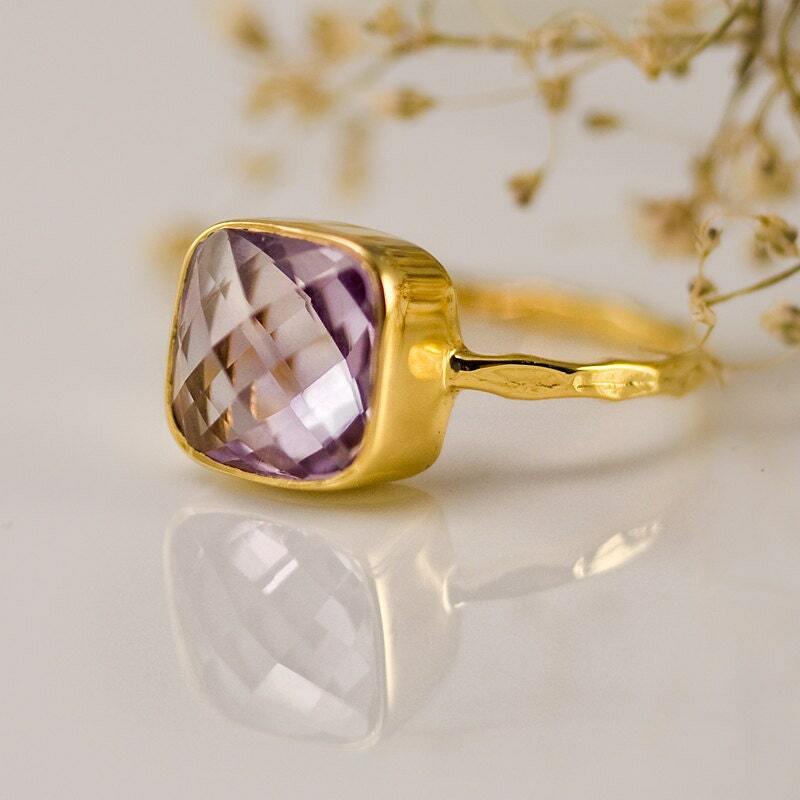 One of you can win this amazing amethysts ring as shown in this post. Enter the giveaway at the widget below. Giveaway open worldwide and will end on February 1st. Winner (1) will be contacted by email and they will have 48 hours to respond, otherwise a new winner will be chosen. 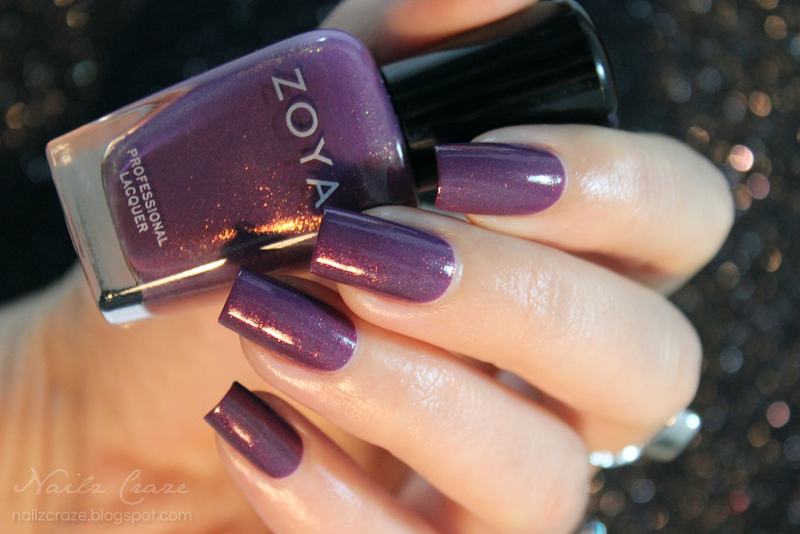 Zoya Tru and that ring are both so pretty! I would love this ring. 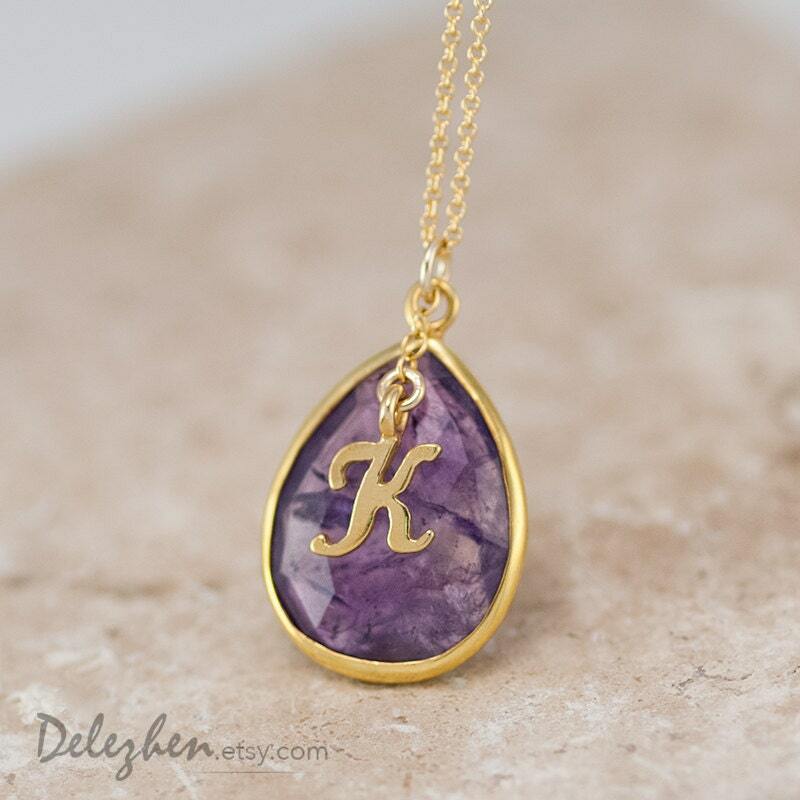 Not only is it my birthstone, but purple is my very favorite color. I have almost every Zoya, OPI, & Sally Hansen Complete purple polish. I am obsessed with all things purple and have been since I was very small. BTW, how do you repost to instagram? Is there a shortcut? Sorry for the late reply - about instagram, not that I know of. You just need to save the photo and post to your feed. I usually send the photos from pc to email, then save them on the phone. I have been following this jewelry line it is so beautiful. I just can't afford to buy anything now due to being disabled but this jewelry makes me happy. Thank you, I'm glad you are enjoying these posts. I love the ring and your manicure. I think its such a cool idea to show jewelry and nails together! Thanks! I wish it was mine too, I love this stone! can't take my eyes off that ring!! simply gorgeous!!! Thanks Kim, such a pleasure to hear this.